With over 25 years experience providing expert veterinary services to clients throughout Thornton Heath, Vale Vets offer security and quality when it comes to taking care of your pets. We understand that for many people, their pets are like members of the family, so it is essential that you are able to rely on a qualified, friendly veterinary service. Vale Vets are a locally based business with a passion for ensuring that all our clients young and old, large or small, live happy, healthy lives. The closure of the Greyhound Lane Railway Bridge means that the traffic on Streatham Vale is much lighter than normal but in no way affects access when driving from Thornton Heath. Eardley Road remains open as normal and the traffic is flowing very freely nowadays. 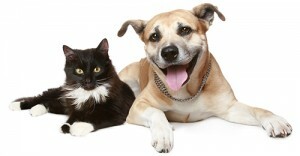 A large number of our clients bring their pets to the Vale Veterinary Clinic in Streatham Vale from Thornton Heath. Ours is a modern well equipped practice and provides ample on street parking so it is easy for clients to park near to the surgery – either right outside or on Farmhouse Rd, a cul-de-sac two doors down from the clinic. This makes Vale Vets perfect for quick check up appointments or for longer stays, if your pet needs a little bit of extra care! We offer a range of comprehensive services dedicated to ensuring that your pets live fulfilled lives with full veterinary support throughout their lives. We take care of each and every pet, taking into account their specific dietary and exercise requirements, making certain that every pet has everything they need. From helping your puppy or kitten adapt to a new environment, to kennel cough vaccinations and more, you can visit our services page to find out more information about the list of treatments we provide to pets in Thornton Heath and the surrounding area. Our pet care plan is a first rate plan designed to help make treatments and vaccinations more value for money. Available for cats, dogs and rabbits our pet care plan provides a number of free treatments available, including selective vaccinations and free checkups. Plus with our pet care plan, our clients will also be able to claim a 10% discount on all other treatments as a testament to our fantastic customer service. We also cover areas near Thornton Heath such as Croydon and Crystal Palace. For more information about the areas the clinic covers please visit our areas we cover page. If you’re looking for vets in Thornton Heath but require a well equipped, modern practice – get in touch with us today. With over 25 years experience providing expert assistance to patience and their owners throughout Thornton Heath, we have the experience and equipment to help with whatever ails you. Email us at info@valevets.com and we will get back to you, or to speak directly to one of our vets simply give us a call on 0208 679 6969 and we will be happy to answer your questions. We look forward to hearing from you soon.